Looks fun. Come join un Sunday. Here are the cue cards for the River Valley 100 on Sunday. Please print yours out and bring with you. Technical Difficulties. For some reason I am having trouble with the website. 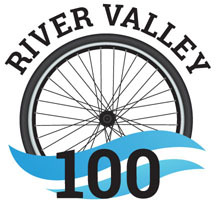 If you want to register for the River Valley 100 – go to the “About” page and NOT the “Registration” page. The “About” page should get you registered. The routes for the 100 mile paved ride and the 100 kilometer ride are now on the route page. If you haven’t already – you will need Strava to see the routes. If you haven’t already, please register as soon as you can so you can ride with us next Sunday, August 28th. Come ride the scenic river valleys of south central Minnesota. Yeehaw! Check out the 2016 gravel route under the “Routes” tab. This will be the route for both the gravel RACE and gravel RIDE. So challenge yourself and sign up for the ride. Look how happy these riders are at the finish. Hope to see you on August 28th.